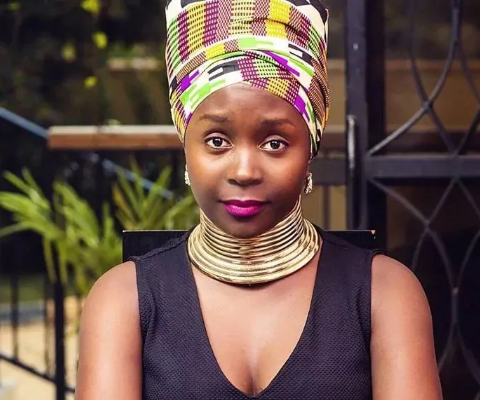 Comedian Ann Kansiime has come out to share why her marriage to Gerald Ojok went to the dogs just four years after exchanging vows. In an interview with a local TV station, the comedian hinted that having more financial capabilities than her ex-husband was not the main reason they split but can’t also be ignored. “That is something I cannot deny. I don’t know whether that’s why he left, but there are many other reasons which I will not get to,” she explained. She went on to add that their marriage failed and they parted but she didn’t make the announcement until almost after half an year. “Actually my relations ended six months before the whole world knew, but the pressure kept it going” she added. Besides finances, there were claims that Kansiime’s inability to have a child during the four years was a major cause of their split, because of pressure from Ojok’s family to have babies.